Blue 449, the Open Source Media Agency, is a sub-brand of Publicis Media. They operate in 14 markets across 22 offices with over 1200 employees. Their open source philosophy means operating at the intersection of media, ideas, data and technology to deliver inventive, collective progress for their clients. How did ScribbleLive Linkdex solve Blue 449’s challenges? The initial interest in ScribbleLive Linkdex rose from a need to reduce the amount of time the team was spending on everyday SEO tasks such as reporting, technical analysis, and keyword research. Over time, the team adopted the platform increasingly into their day-to-day as it helped them save time. In addition, they also found that the platform’s additional features were extremely beneficial. Competitor analysis, for example, can be delivered in far more detail with the use of ScribbleLive Linkdex. By combining our SEO tools into one unified platform, ScribbleLive Linkdex enables agency teams to be more efficient and effective in executing their clients’ SEO strategies. Teams can navigate seamlessly between tools such as Rankings, Visibility, and Author Outreach. All of the data can be pulled out directly into a customized report and emailed straight to clients. What areas of the platform were the most useful in solving those challenges? Visibility is essential for keyword research. This is particularly true now that Google has started grouping together keywords in their ‘Keyword Planner’. It fills in the gaps for a long tail keyword strategy. The new ‘Alerts’ feature also helps to save time by providing automatic notifications of any notable changes. Search Console integration allowed Blue 449 to quickly and efficiently identify issues with internal conflict. They were also a fan of the Content 360 part of the platform. With crawl scheduling in place, they could ensure that they kept a consistent eye on any technical issues with the client’s site. How did Blue 449 integrate ScribbleLive Linkdex into their client SEO strategies? Most of the team uses ScribbleLive Linkdex on a daily basis because it’s the starting point for a lot of insights that can then be used for strategic planning and execution. For example, they would run crawls through Content 360, which would then highlight technical issues that needed to be resolved on their client sites. Similarly, whenever they saw a drop in rankings for a particular keyword, they were able to dig deeper into the platform and figure out possible reasons. The experience and knowledge of team members is still crucial, but the platform makes it much quicker and easier to diagnose. ScribbleLive Linkdex allows you to benchmark your content strategy against actual data to understand how your content is performing against competitors, and help inspire your content team by analyzing the most shared and linked-to content in the market. How was ScribbleLive Linkdex data useful to clients? This really varies on a client-by-client basis. Some clients like to get really into the details, and ScribbleLive Linkdex is excellent for this. Clients can be given direct access to the platform, and the Customer Success Team at ScribbleLive can train Blue 449’s clients on how to use the platform. This has been great for building up a trusting relationship with clients, which is an essential element of Blue 449’s approach to maintaining transparency. Other clients are happier simply looking at the bigger picture. 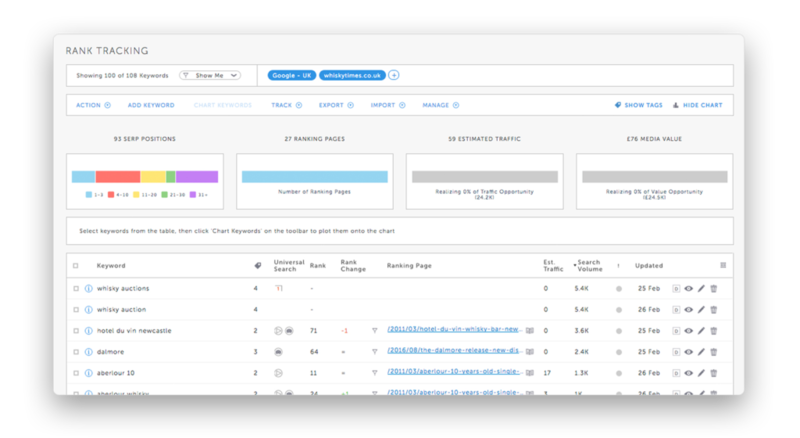 In these cases, Blue 449 uses a lot of the features from the reporting element, such as the ‘Share of Search Through Time’ which allows them to show how clients are performing overall v.s. competitors. Access fast, accurate, and insightful rank tracking data by keyword. Gain access to one-click forecasting for channels, groups, and pages with through-time analysis built in, allowing for easier communication on traffic projections for clients. Want to dive in and adjust the forecasting formula? It’s as easy as a few clicks. How has using ScribbleLive Linkdex impacted client satisfaction? It’s clear that ScribbleLive Linkdex has helped to streamline Blue 449’s efforts, allowing them to provide clients with a greater number of meaningful recommendations. This has contributed to successful results. The high-quality and visually engaging reports used to support the recommendations were easy to create within the Reporting section of the platform. You can use report templates to generate site audits or ranking and traffic reports. Or if you need customized reporting, ScribbleLive Linkdex gives you the ability to customize charts and metrics with hundreds of data configurations. 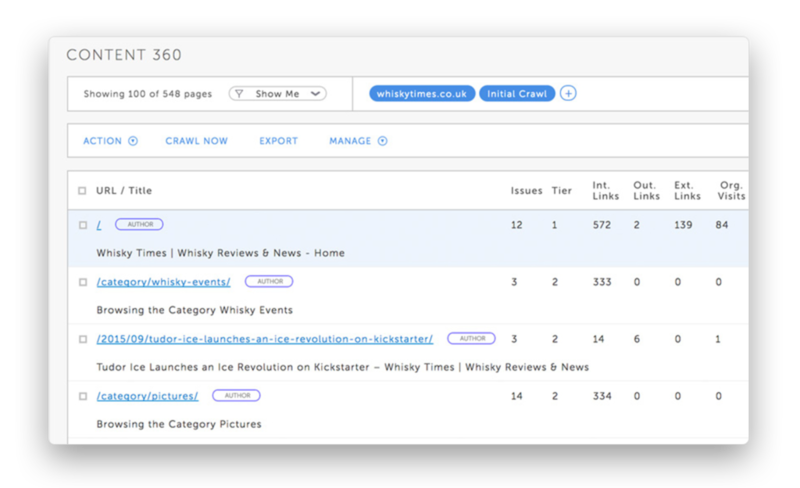 You can also apply themes and other reporting dimensions like time frames, pages and keywords. How has ScribbleLive Linkdex enabled Blue 449 to win more clients? Blue 449 uses Linkdex as part of their new business approach. Prospective clients respond particularly well to the competitor insights that they’re able to pull from the platform by using features such as ‘Visibility’. The platform allows them to get a fair understanding of client performance without needing access to their analytics, and has helped them establish credibility. ScribbleLive Linkdex is used by many of the world’s leading agencies. We help teams develop and execute winning, data-driven content marketing strategies for their clients.